A rural property with private pool, located 15 mins from Álora in Malaga province. 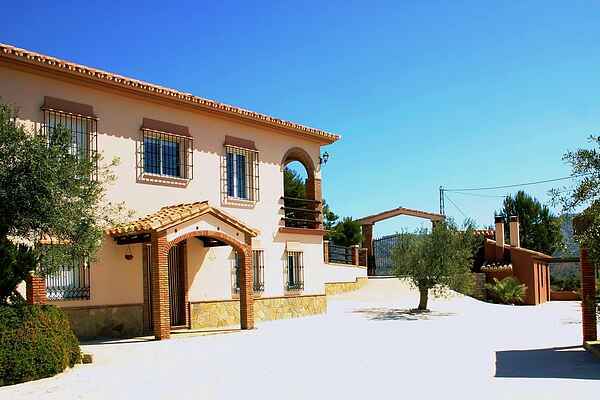 The house has 2 floors and is situated at the top of hill, surrounded by olive groves, orange, lemon and almond trees. The property features a double leaf door and no stairs and boasts a large terrace with a pergola to create a shady area. You will also find a barbeque and on the upper terrace, a private pool. Parking is available within the estate. The house offers intimacy, peace and wonderful views, as well as being perfectly located for practicing all sorts of outdoor activities and those in contact with nature. This rural property is large enough to sleep two families.